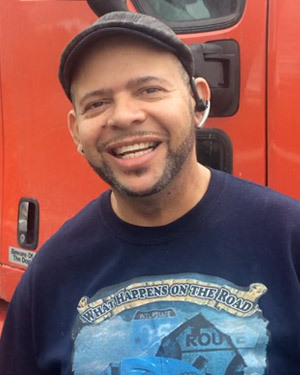 Ed talks about his experience working as an owner operator at Status Transportation. 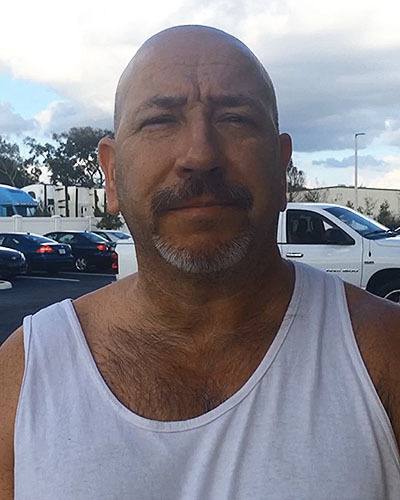 Status Transportation reviews by owner operator Edward V.
My name is Edward, I’ve been with Status Transportation since September 2015. I’m very happy here, I’ve been driving for over 6 years for different trucking companies in the past and Status Transportation exceeds my expectations. When it comes to reading the settlements (owner operator pay) it’s not like you are reading Chinese, it’s very easy to acknowledge what you get paid. It’s very simple to understand compared to some of the settlements I’ve had in the past where you had to be a rocket scientist to read them, I enjoy getting something as simple as that right to the point. My dispatcher and I right out of the gate we established that we are a team, we got an amazing relationship as far as dispatcher and driver go. I have never experienced anything like it in the past and quite frankly I love the guy. It’s the best place I’ve ever been! I’m really happy. 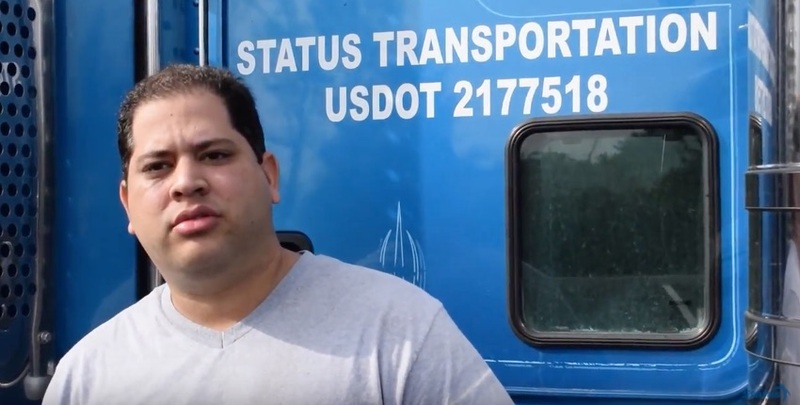 Status Transportation differentiates itself as a motor carrier by providing quality and friendly services, and also by paying attention to detail. Attention to detail is crucial in the transportation industry. Thoroughness is engrained not only in our services at Status Transportation but also in our communication to owner operators. This can be experienced from the moment you step into the headquarters located in Winter Garden, FL. Status Transportation reviews its orientation process on a continuous basis in order to provide the best service. The services provided by our dispatchers are designed to facilitate day to day operations to owner operators. At Status Transportation, we recognize the importance of good communication and clear expectations. The best owner operator companies know good communication is crucial for a successful owner operator job. Our dispatchers strive to build rapport with shippers and owner operators by creating positive connections that turn into beneficial business partnerships. 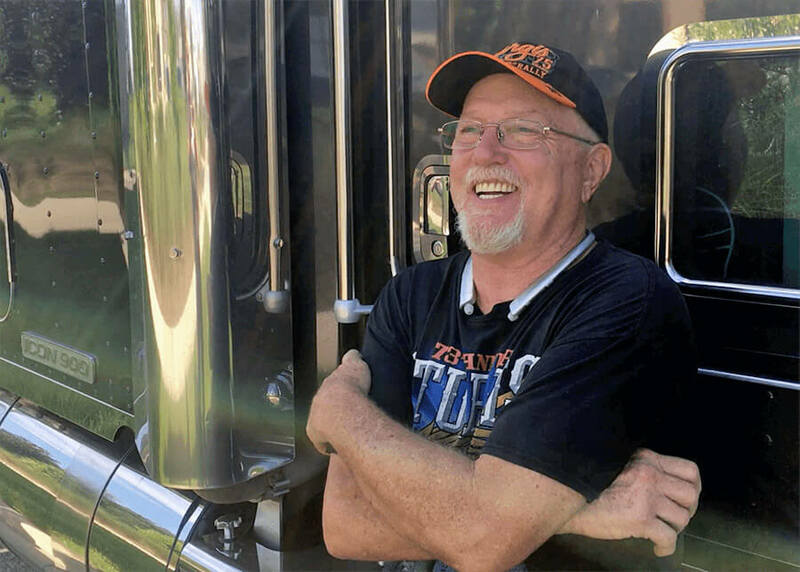 Owner operators truck drivers who have been working with Status Transportation for several years are proof of the successful work relationships we have built based on good communication. Years of experience and personalized service combined with innovative technology have made Status Transportation one of the best trucking companies for owner operators. It is not unusual for owner operators to relate to our brand personality. From the moment they call to request information, to the time when they speak to their dispatcher after leasing to Status Transportation, they recognize a consistent set of traits. At Status Transportation attention to detail and great customer service is at the heart of everything we do, that is what makes us one of the best trucking companies for owner operators.